We’ve been busy! Yup, it’s that time of year. Coaching, working, filming for edits, racing the Whistler Phat Wednesday series and doing some cool media stuff. Amongst many privates and ongoing privates, our Rider Development Program has been whats been keeping us busiest. Working with young talent is not only rewarding but feels more meaningful and wholesome than just us pursuing that podium spot for ourselves. Skills training, Freelap Timing sessions, mental development and mentoring is all part of the program and we are excited to keep building on it. 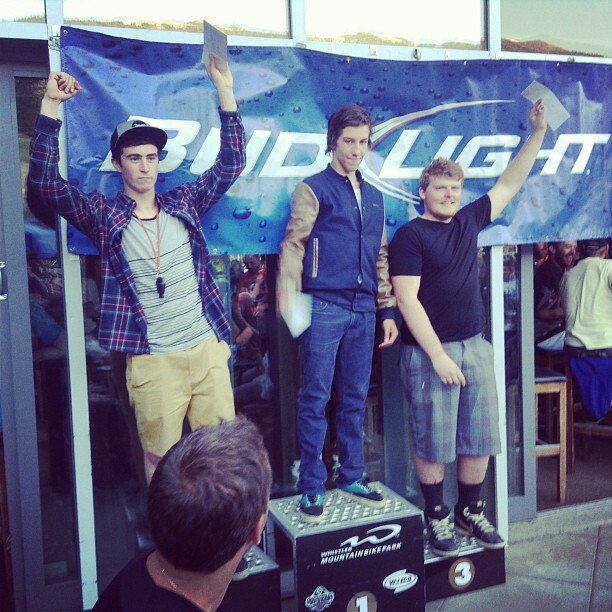 3 of our RD youth: Isaac Marangoni, Jack Iles and Tom Peele on the podium in junior men at the Phat Wednesday. 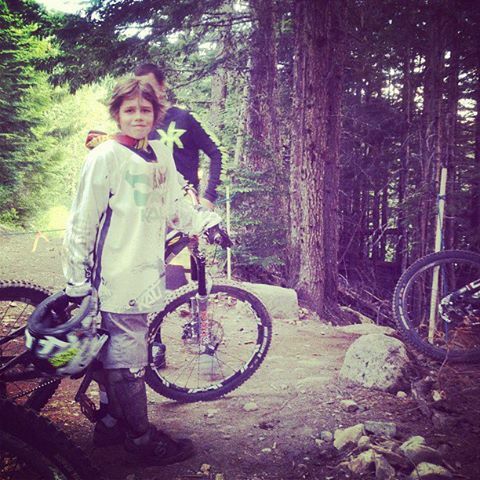 Our youngest RD shredder, 10 year old Seth Sherlock, gets ready for his run during a Freelap session. Claire has been spending a couple days a week working at Evolution bike shop while she is rehabilitating from her injuries. It’s a chill place for her to be on rest days and in between physio, gym and riding. She is getting stronger and faster every time she rides and her confidence is gradually coming back to her on the bike. Chris has been working on edits with a few different filmers here in Whistler. He’s done a couple Phat Wednesday series course preview edits with Matt West and he’s been working on another Summer of Summit edit with Dylan Forbes. Claire will be making appearances as well as working on her own edit, coming soon! Phat Wednesday Race#2 Funshine Rolly Drops to Smoke & Mirrors from Matt West on Vimeo. Last weekend we were in Sun Peaks for the 2nd Canada Cup round coaching and mentoring some of our RD youth. 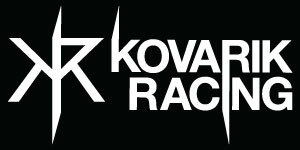 The track was one of the fastest and roughest tracks we have ever raced, even compared to some World Cups we’ve been to. However, it was not the most technical of tracks. It called for strength, stamina and courage. Claire admits she found herself in the deep end but rode her best to a 4th place behind World Cup racers Micayla Gatto, Casey Brown and Miranda Miller. She still has some work to do but it was great to see where she is at. After a near death moment at the top fast section of track resulting in a minor mechanical, Chris rode within his limits but says he was happy with his run on the wild track and finished a respectable 3rd. Claire letting it go at Sun Peaks. Dissent Labs photo. 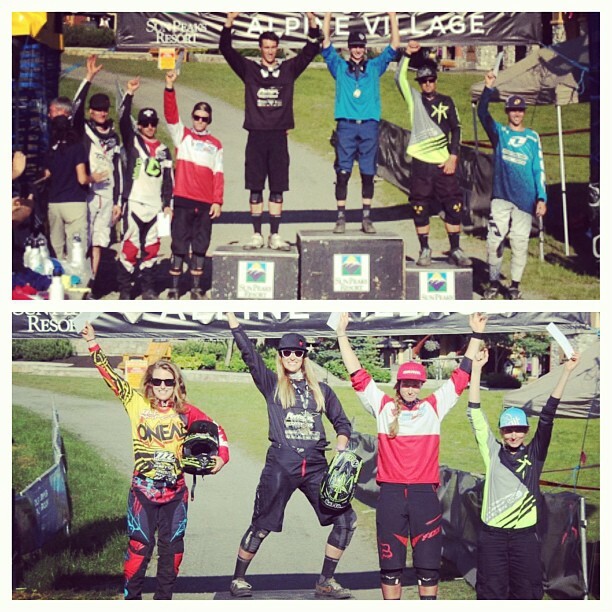 Elite Men and Elite Women podiums. The Today Show Australia recently came through Whistler on their Canadian Tour. 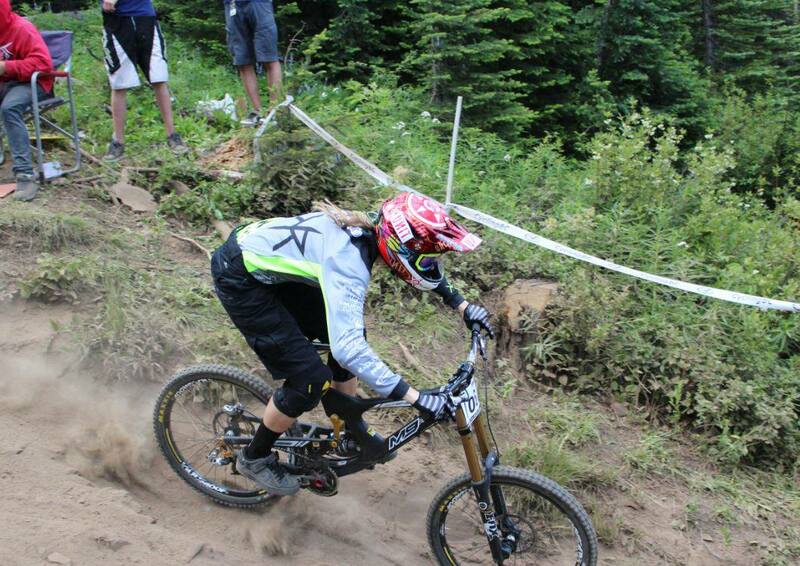 Claire was lucky enough to be interviewed for the show about the Whistler bike park and the sport. A few weeks back, Chris and Claire were invited to be a part of a studio recording with Tristan Merrick and Seb Kemp of the Off_Track show presented by Bike Mag. With lots more events, camps, races and media projects planned, we are excited for the rest of the season and savouring the moments when we find ourselves in the woods with our bikes either solo or with friends. Cuz thats what it’s all about!